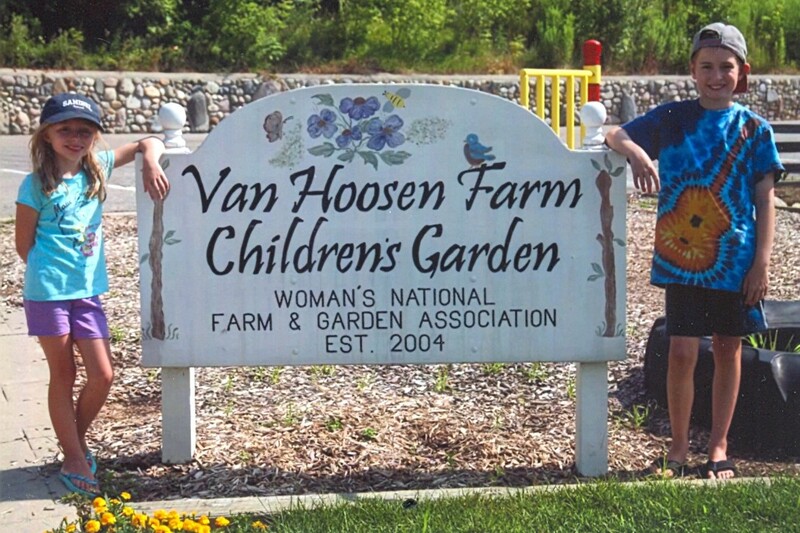 The Rochester Garden Club is actively involved in planning and maintaining the Children’s Garden at Van Hoosen Farm throughout the year. This award winning public garden is enjoyed by the community and is used as a educational tool for student groups. 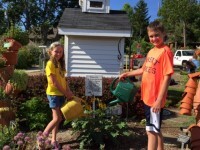 The garden is open daily to visitors free of charge and is located next to the Rochester Hills Museum Dairy Barn at 1005 Van Hoosen Road in Rochester Hills. 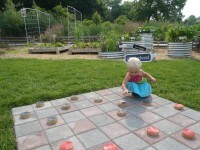 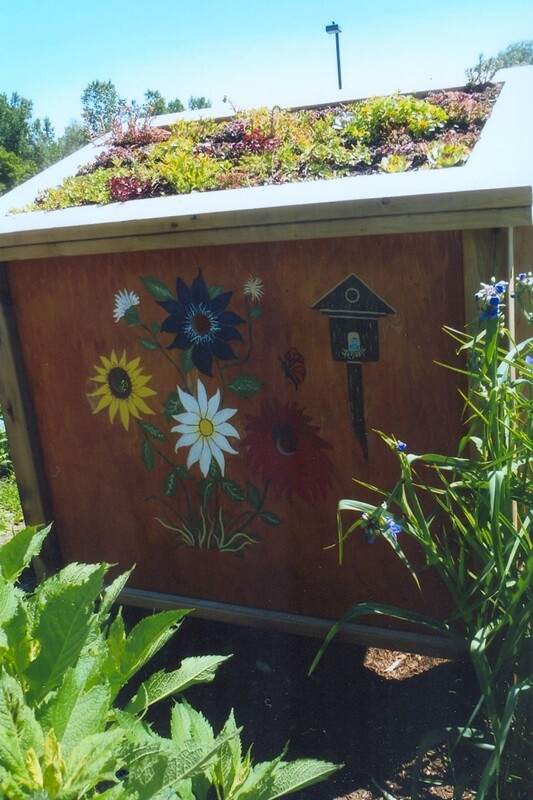 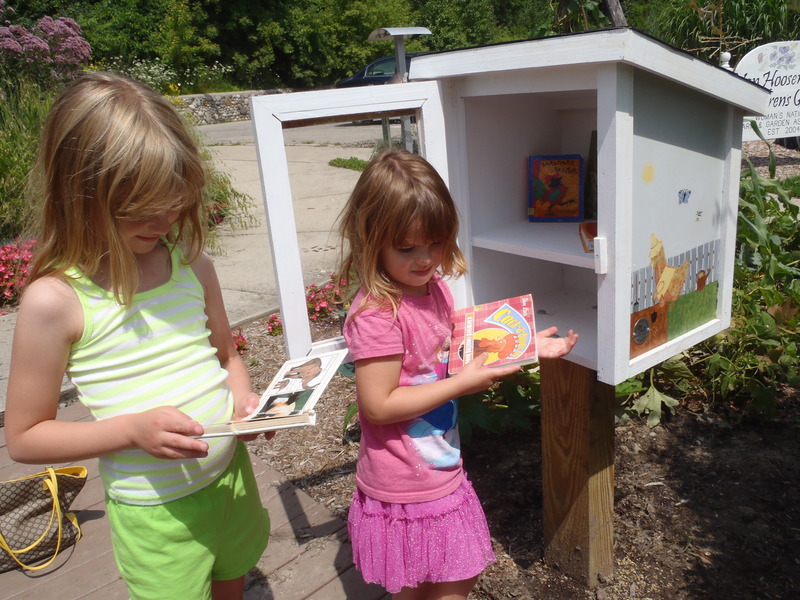 Along with the beautiful flowers, the garden contains both educational and interactive features. 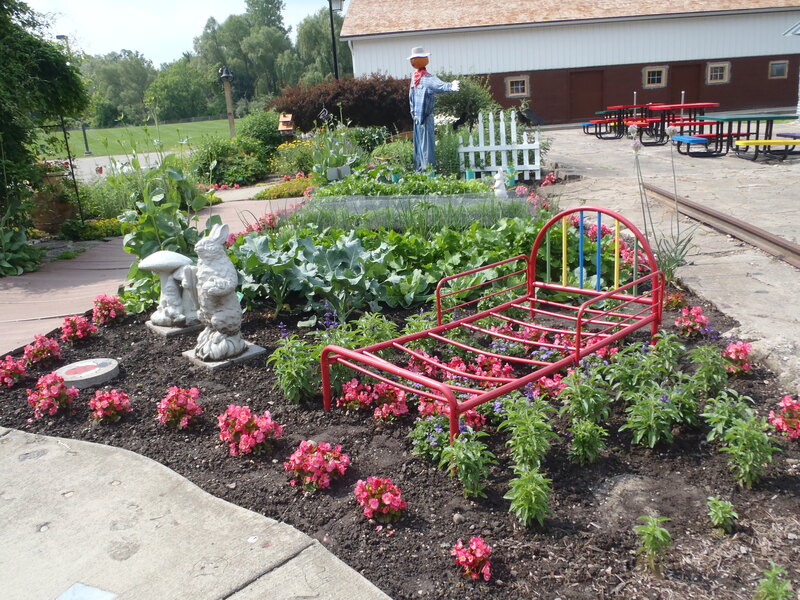 Explore the plants in Mr. McGregor’s Vegetable Garden, the Five Senses Garden, the Butterfly Garden, the ABC Garden, the Silo Vegetable Garden and the Spaghetti Garden. 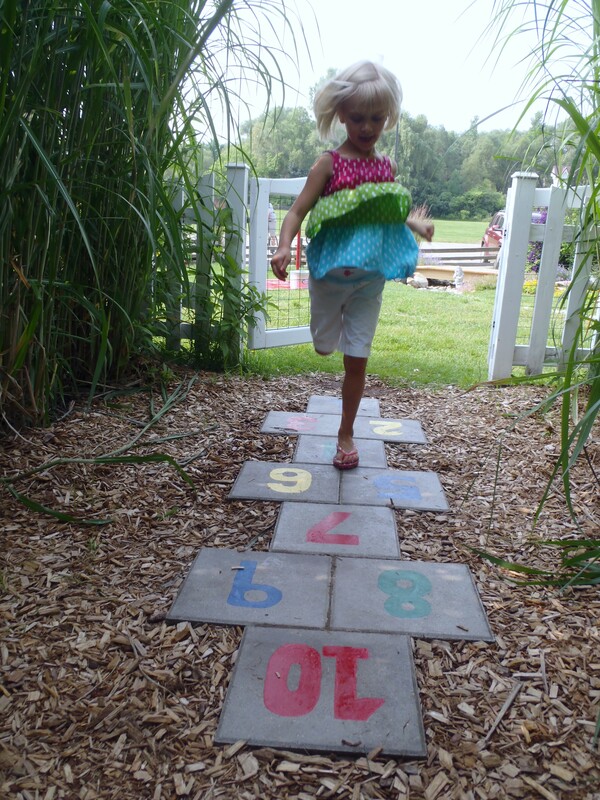 Have some fun ringing the schoolhouse bell, and walking the “Yellow Brick Road” over the bridge to meet some Story Book characters. 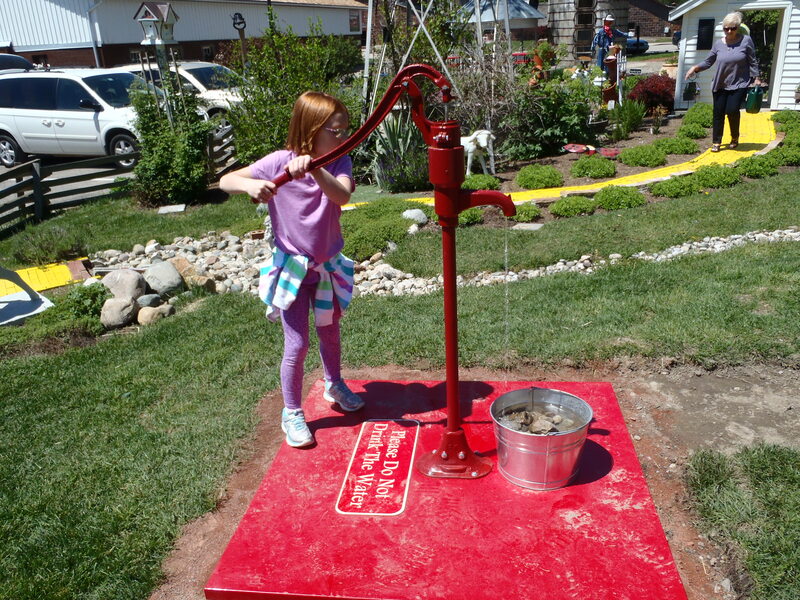 Be sure to pump up some water with “Kathleen’s Pump,” play hop-scotch or checkers, play on the gate swing, walk through the Green Roof Tunnel, climb on Sarah the Cow, and tell time at the Human Sundial Garden. 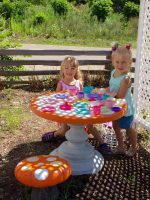 Get outside, and have some fun. 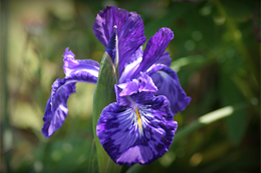 Come and explore the garden! Pump water the old fashioned way. 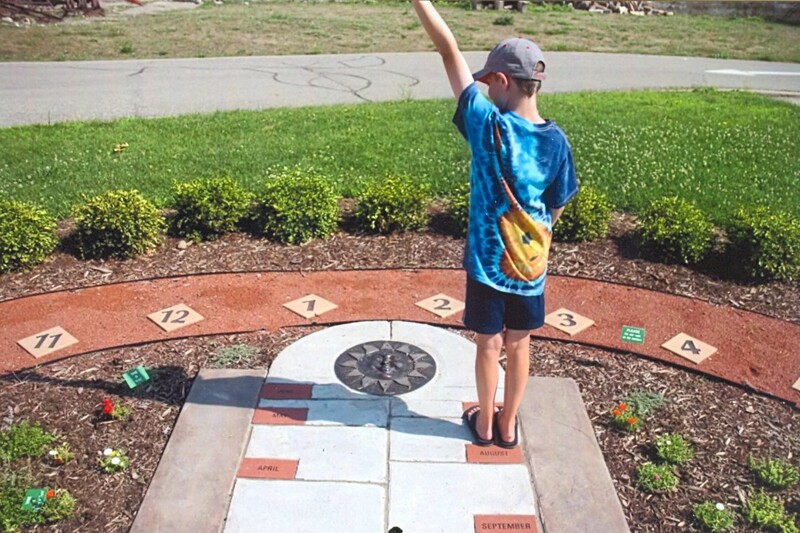 Tell the time with the Human Sundial. 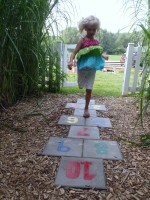 Follow the letter stones in the Alphabet Garden. 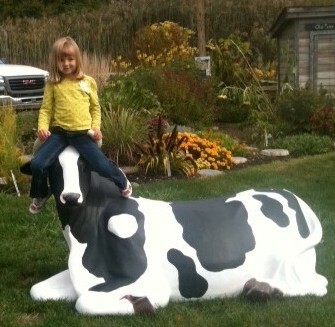 Climb on Sarah the Cow. Harvesting the vegetables is great fun. 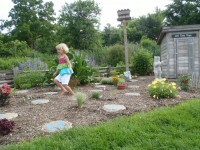 Watering the plants is fun. 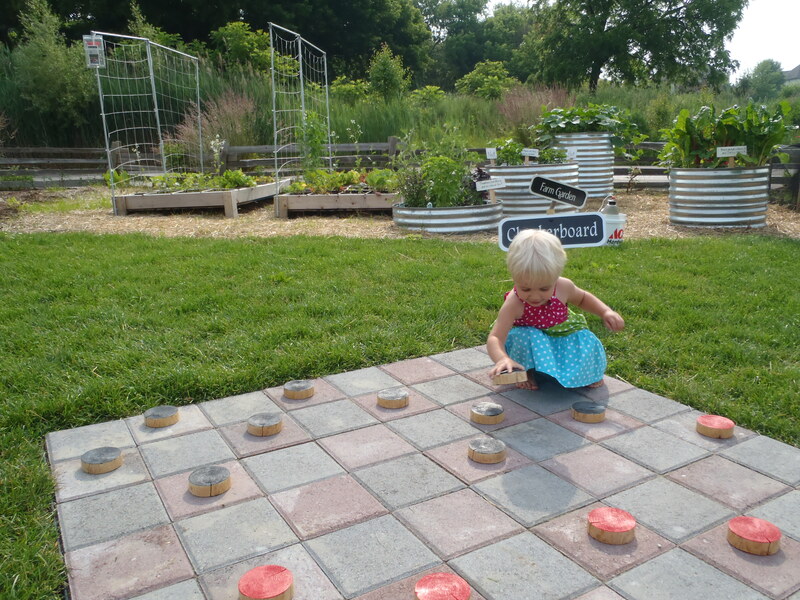 Play a game of checkers.